STRUGGLING TO KEEP FIT, FLEXIBLE AND RELAXED? Frustrated by tight and/or weak muscles? Need help getting fitter, toned, flexible and more relaxed? You are not alone...Let us help you. 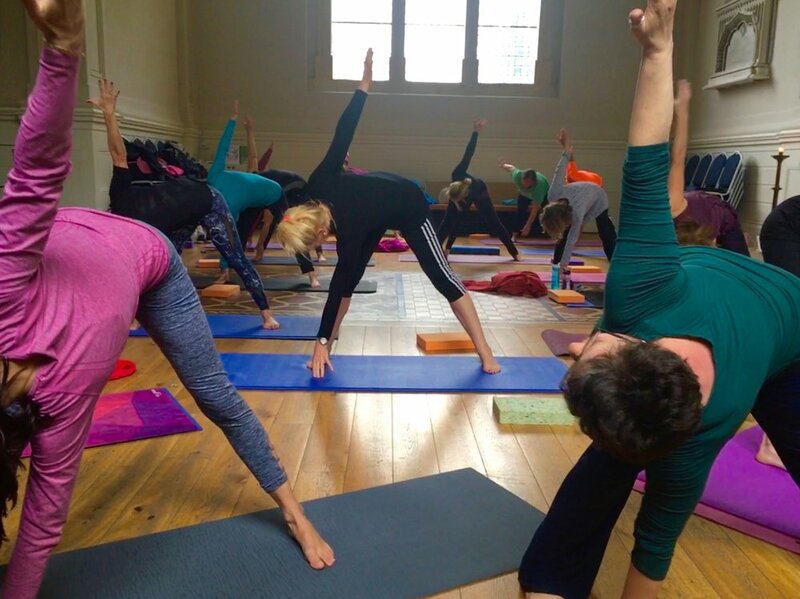 Our Urban Yoga Classes will help you Get Fitter, Be More Flexible and be More Relaxed. Learn simple breathing techniques to help you feel emotionally calm and relaxed, whilst physically working your body at your own pace. Move through a sequence of accessible moves designed to allow you to switch off your mind from everyday work and life stress, stretch out those tight areas and strengthen your body where it needs it leaving you feeling stronger and more flexible. ... And go home feeling relaxed and positive! CLICK BELOW TO CLAIM YOUR FREE CLASS NOW! CLAIM YOUR FREE TASTER CLASS NOW! Yes, I want to get fitter, more flexible and relaxed now! Congratulations on claiming your FREE fitness yoga class! We will get back to you shortly to confirm your place and look forward to you joining us soon.